- Pienza . . .
- Montepulciano . 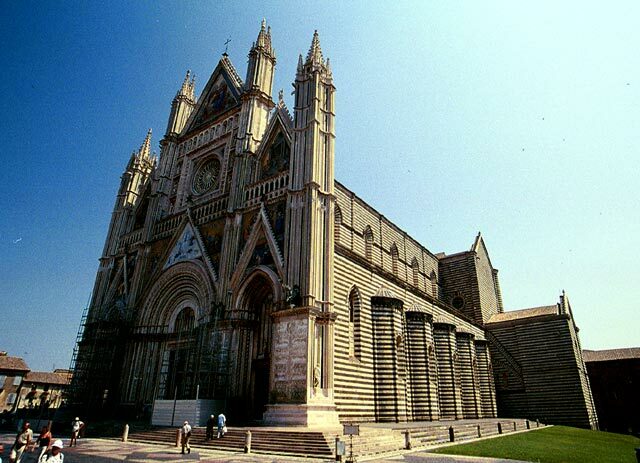 . .
- Orvieto . . .
- Chiusi . 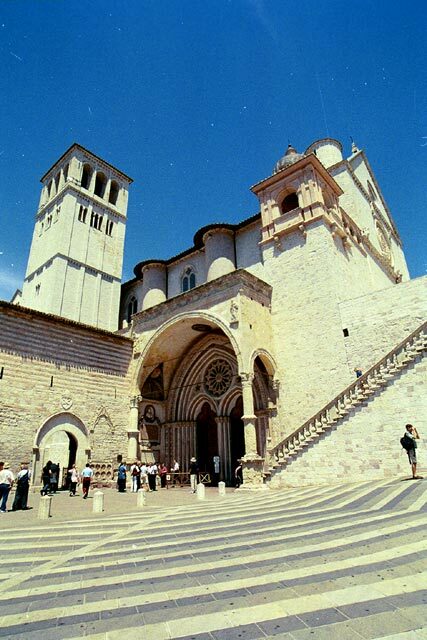 . .
- Assisi . 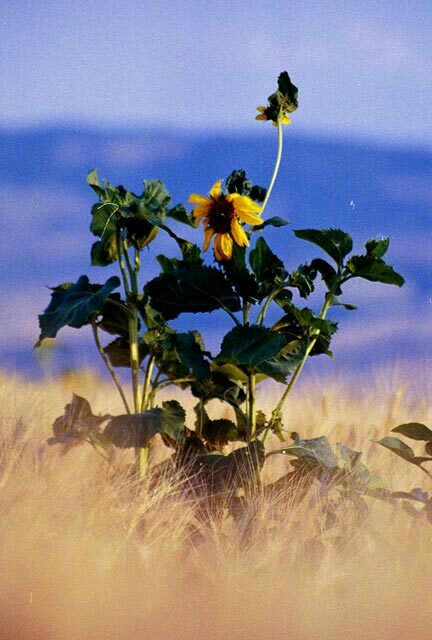 . .
- Monttichiello . . . 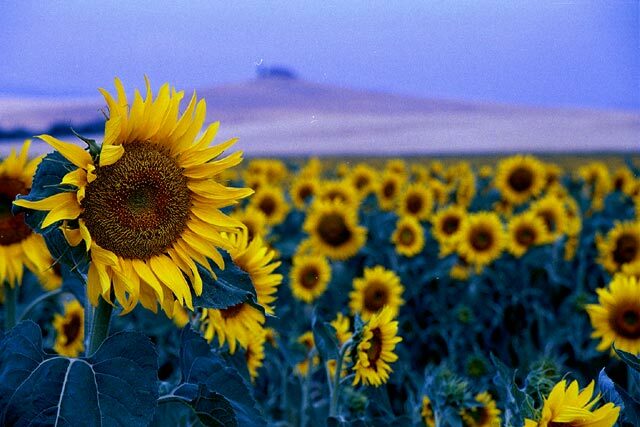 Weather: In general, clear, sunny and very hot. One brief rainstorm and one short, heavy hail storm. 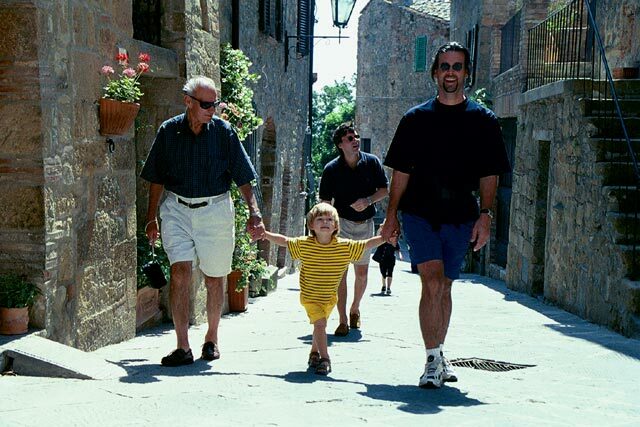 We had a great time in Tuscany - it was a wonderful family vacation. 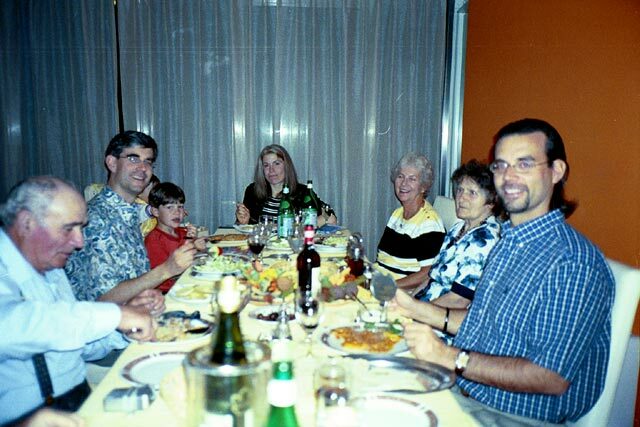 We were able to bring together the whole Bespolka family in one spot for almost two weeks. 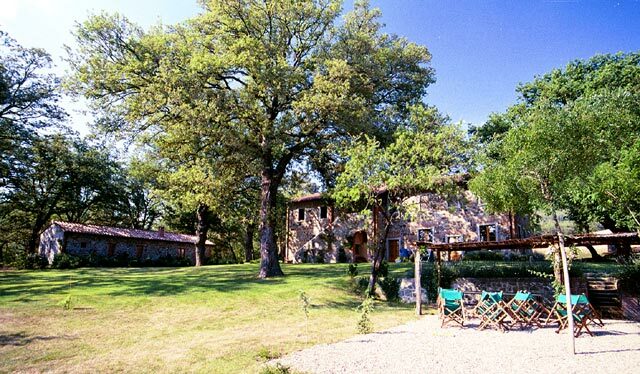 We stayed in a wonderful old villa on a large estate in the rolling Tuscan hills, enjoying the local food and wine. Besides hanging out at the villa (and its pool), explored some of the towns and countryside surrounding our area. But back to the beginning. We flew into Rome airport on 16 June, landing early in the morning. Bleary-eyed, we figured out how to catch the train into Rome Termini, and from there worked out the schedules for the trains to Pisa. We were heading up to Pisa to meet Lars' parents and Carl and his family. There was no quick direct train and in the end we traveled through Florence. We were smart enough to grab a sandwich, which sustained us throughout the journey. It was very hot and we were very glad to finally arrive in Pisa Airport train station at 2:15 PM - seven hours after landing in Rome. Lars' parents were there to meet us and, after dropping off our bags (why does everyone seem to comment on the number of bags we have) in the car, we sit down at the cafe for a light snack and drink while we wait for Carl, Ro and family. They are a bit late and have to wait for there bags for ever, but at least we did not have to wait to long in the car rental queue for too long - we waited in line for them. Then it is off to Tirrenia, where we will spend the night at the Albergo il Gabbiano. Tirrenia is where Lars' parents spent two wonderful years after Lars headed off to college. We are back for old time sakes. After a quick run (the busy streets around here are not very jogger friendly any more), we of course have to do some of the old favorite things. First down to the beach for a lay in the sand and a splash in the waves. Nothing has changed here. Very formal, with the beaches taken over by these operators who charge you to enter and then everyone bakes themselves in the sun at their small station with umbrella and seats. They even have cabanas to change in. Back when we stayed here, we had access to both the Italian Air Force and US Army beaches - each had it's advantages (the cabanas, beach chairs and skimpy bikinis at the Italian Air Force beach and the cheap hot dogs and hamburgers and more relaxed atmosphere at the U.S. Army beach). Then back to the hotel for a shower and change and then off to dinner at our favorite restaurant - Martini's. Well it has changed a bit - has been spruced up a bit. No longer dark and traditional, but rather bright, modern and clean. The old style was much better - too commercial now. The same brothers from Sardinia are running it - one in the kitchen and one out front. We are welcomed like family and shown to our tables. We are also joined by Flora and Severino - a wonderful local couple that had worked with with Lars' parents when they were living here. The salt of the Earth - they have not changed. So sweet, generous and kind. It is great to see them again. The food is great as usual - we stuff ourselves. We just keep ordering more and more from the menu. A fantastic meal. We top it off with dessert, coffee and a few drinks. As in the old days, they just plop a few bottles down on our table and we help ourselves. What has changed is the price. Back then, they charged us something like $10 for the whole meal, but now we are charged as per the menu. Ah, well. Of course, we head off to the nearby old railroad station for some Italian ice cream. Yummy!!!. We wrap up the evening with some drinks back at the hotel and then off to bed after a long day. 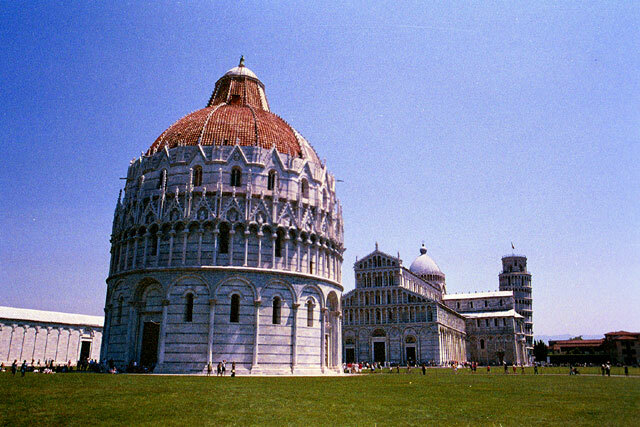 The following morning, after a quick breakfast interrupted by watching the U.S. soccer team do amazing (albeit surprising - like winning) things in a match in the world cup, we load up the cars and head to nearby Pisa for some sightseeing. We do the usual thing and head to the Piazza de Miracoli with the baptistery, cathedral and leaning tower. The place is packed - it is teeming with the full range of tourists that are jostling and bumping their way through the crowds for a sight of the ancient buildings. It never seemed this crowded when we were living here many years ago. Or maybe we just avoided the place when we knew it was going to be crowded. 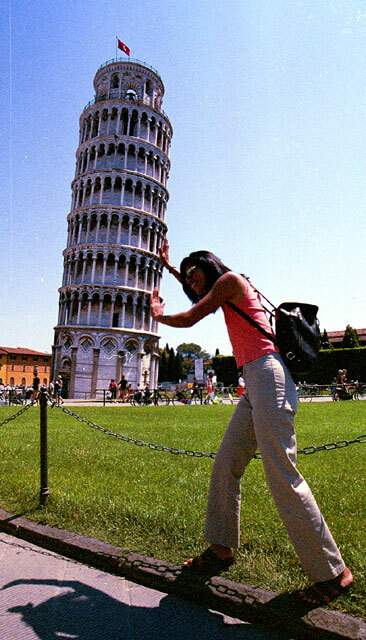 Despite all the people, it is an amazing place to visit, and we ranged from being serious (admiring the workmanship - except for the foundation of the tower) to being silly (taking photos where it looked like we were holding up the leaning tower). They have re-opened the tower to a limited number of visitors, but we did not go up as they did not let young children in (much more safety conscious these days). After a quick bite at one of the many "traditional" restaurants that cater to tourists with their menus printed in what seems like a zillion languages, we head back to the car for the drive down to La Foce, where we will spend the rest of our time in Tuscany. How to describe this place - it is wonderful. We had a main two story building with five bedrooms and a converted stables with another two bedroom (and their own kitchen and sitting room). 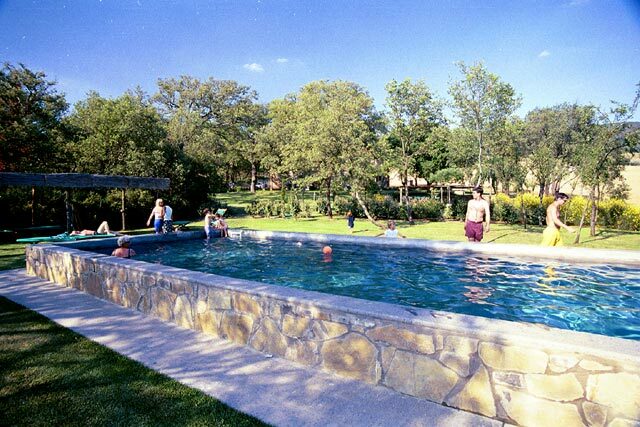 The grounds had an outdoor sitting area and, best of all, a good sized pool. We made good use of this during our time here. The children especially loved it. Our daily life quickly settled into a routine. We would try to sleep in as late as we could - but we were often frustrated in this endeavor. Why, well, we had six children staying with us in this villa - all under the age of six. And they all wanted to wake up their favorite aunt and uncle. At least the parents were considerate enough to tell them they could not sneak into our room and jump on the bed (and us) until it was nine o'clock in the morning. But we were usually woken up much earlier by this high pitched voice outside our door yelling "is it nine yet". After a light breakfast, we would pick an activity to do that day. One day, we played tennis at the courts on the estate (well, we only did that once - they were not in the best of condition). On quite a few days, we headed off to see some of the towns in the area (more about the later). On a few, rare days we did nothing and just hung out. We also found the time to squeeze in a few world cup soccer games. Now that is a bit of a story. We had cable TV in the villa, but the people running it had not bothered to get the chip that allowed you to see the most important sporting event of the year in an unscrambled state. So when ever we tried to watch it in the villa, we would see five balls and about 110 players running around the field. That got to be a bit too much, so we decided to head up to the nearest bar, where we got to watch the games with only one ball on the field and with a beer in our hand. Late afternoons, after we got back from our daily activities where ever they may have been, was usually spent by the pool. A wonderfully relaxing place. We would read the paper or a book or just laze in the sun. And then when it was too hot (there was a heat wave going on), we would jump into the pool, which was slowly warming up. Lars and Carl would then usually go for a run before dinner. There were some nice dirt roads crossing the estate - the biggest problem were the hills - they were killers. After a dip in the pool, it was time to wash up and get ready for dinner. 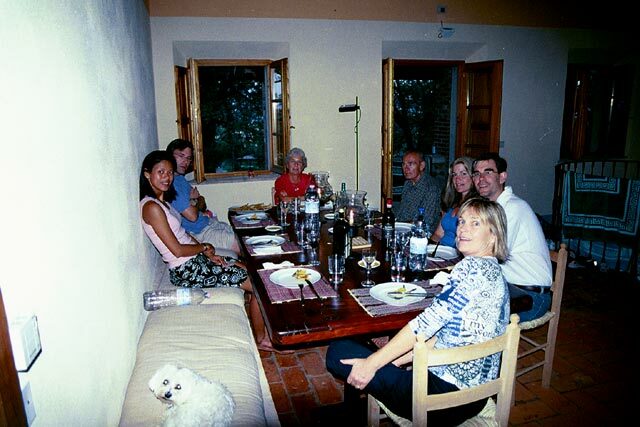 The dinners - they were a highlight of the stay here in the villa. We had decided to splurge and hire a cook to come in. She would discuss with us what we wanted and then she would buy the food, come to the villa, prepare and cook it and then, if we wished, serve the food. It was a great way to go - we just hung out and relaxed with a glass (or two) of wine while dinner was getting ready and then just go and eat when it was ready. It made the stay so much more enjoyable. We had some really good meals. After dinner, we would clean up a bit (leaving most for the housekeeper in the morning) and then, if it was not too late, head down to the game room for some bridge and table tennis, along with a few more glasses of wine. We made sure that we sampled quite a few of the different bottles of local wine. This is a small, half forgotten hill top city (in name only) that has preserved its character so well because since the 15th century, after the death of Pope Pius II who was born here, it has virtually stopped in time. Due to the early death of the Pope, many of the buildings that were started under his direction were never completed. We had a nice walk around the town, but I must say, the highlight that seems to stick in my mind was the excellent ice cream that we had (we even went back for seconds). Why did we go to Montepulciano - for the wine of course. This hill top town is famous for its wine and we wanted to stock up on a few bottles for our stay at the villa. It is a long, skinny town, stretched like a banana along the upper slopes of the hill. It meant lots of walking in the hot, midday sun. This, of course meant lots of stops of refreshments, which were all well appreciated. This was the town where we had the best lunch on the trip - the pizza was so good, we had to order another one to share. After lunch we worked off the extra calories by walking to the top of the tower that graces the Palazzo Cummunale for a view of the town and the surrounding countryside. Orvieto, which impresses you from afar with its huge fortress walls built atop the cliff faces on the plug of rock jutting up from the surrounding valley, is a fascinating place. 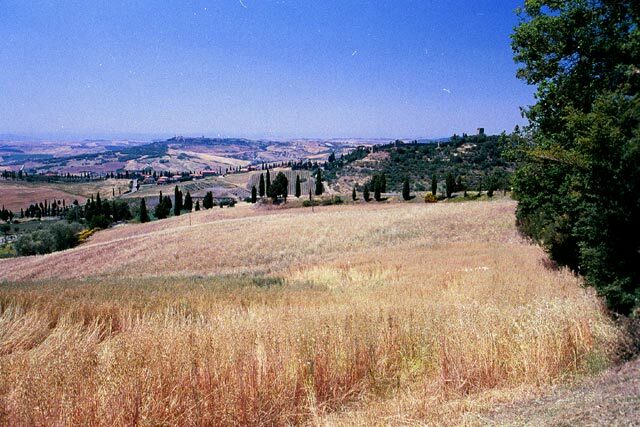 It was first occupied in the 7th century BC by the Etruscans, who started to burrow under the city for the volcanic stone. These were further developed over the years into chambers that became key in the defense of the city from any sieges - pigeons would be raised in the caverns for food (the pigeons would fly out, get their own food and then return to their nest carved into the rock face. 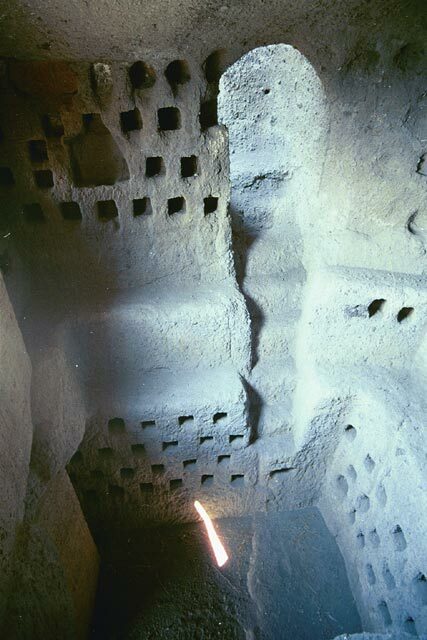 They also pressed olive oil and stored other food in the massive underground city that developed over the years as more and more stone was excavated to build the city above. In addition to the underground city, there is plenty to see above ground. The cathedral is amazing and the old winding streets have a surprise around each corner. The only bad experience was trying to find a recommended restaurant in the guide book - it either does not exist or the directions and map are so bad, the guide book should be burned. We topped off our visit with some excellent ice cream. Chiusi was nothing special - we mainly went in to run errands - namely to buy our train tickets to Venice and Vienna. The children had fun in the playground, while Carl and Lars ran around in the hot sun (we waited in vain during our entire stay for the heat wave to break). What a town - one of our favorites in all of Italy. It is hard to describe this city. 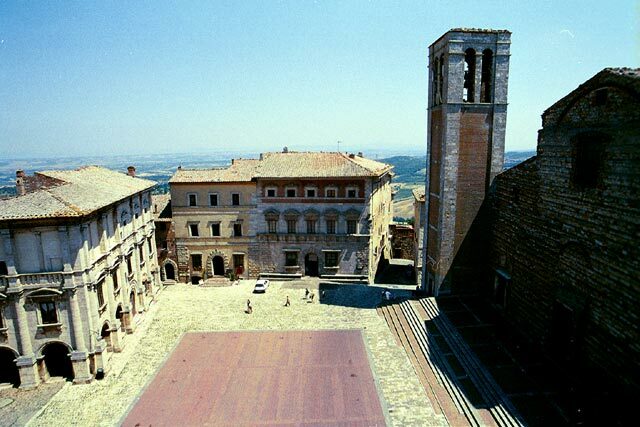 But the driving force behind it and the feeling of serenity the city gives is the legacy of St Francis. We had a wonderful day wandering the streets of this city, but the highlight was the Basilica of St. Francis. This grand two tier church, which admittedly does not quite fit in with the simple life style of St. Francis, is very impressive and a wonderful tribute to the man. We spent some time wandering around the two levels of the basilica. The have done an excellent job of fixing the damage done in the most recent earthquake. After we had spent some time there, we went in search of another restaurant recommended by the guide book - big mistake. While in the end we did find it, it took us quite some time and a bit of wandering through the narrow and winding lanes. After lunch we continued our wandering through the streets - it does seem more fun when you do not have a specific goal and feel lost. This is a small hamlet on top of a hill near our villa. It is small and still retains its medieval charm - not too many tourist come here. We spend a couple of hours checking out the 13th century keep, walls, towers and church. We had a wonderful time in Tuscany and our stay at the Villa at La Foce, but all good things must come to an end. On Saturday, 29 June we pack up our bags and, sadly, the family needs to part ways here. Mom and Dad and Kevin's family head off to England, while Carl and his family and we head off to Venice by train. We catch a noon train from Chiusi and just before 5 PM we arrive in Venice.